“Without music, life would be a mistake,” said Nietzsche being totally right. 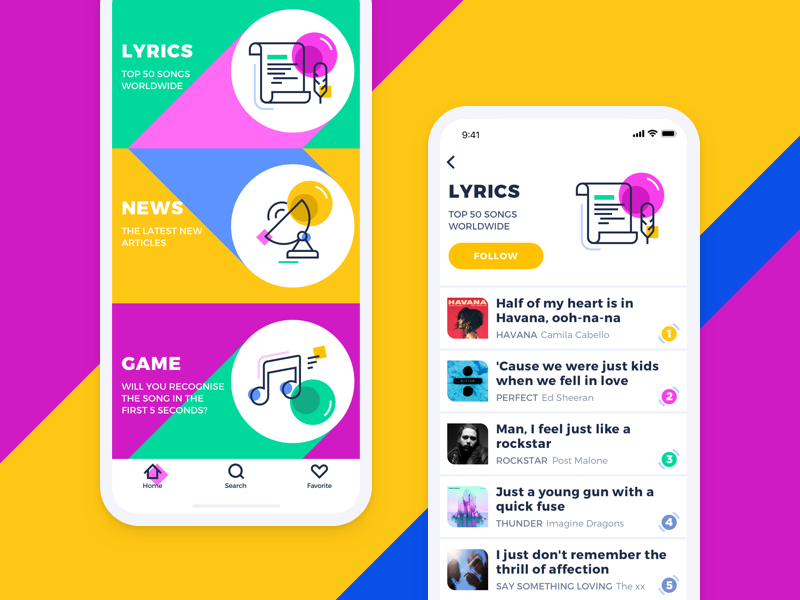 Here’s one more musical UI concept: the app collects lyrics, news and quizzes about music all in one place. Credits to Ludmila Shevchenko. For more design inspiration, welcome to Tubik Blog. Rock the day!